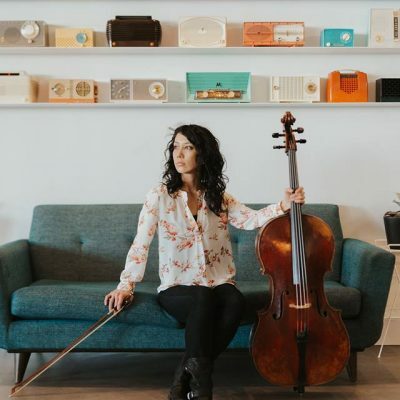 Praised by the Cleveland Plain Dealer for her “dark eloquence”, Keiko Ying has enjoyed a varied career that includes playing principal cello for Citymusic Cleveland chamber orchestra, playing in the Syracuse Symphony, Rochester Philharmonic Orchestra, Rochester Chamber Orchestra and Boise Philharmonic, and performing chamber music at the Aspen, Spoleto, Skaneateles, Colorado College, and Lake George festivals. She has served on the faculty of Roberts Wesleyan College and the Eastman Community Music School. Keiko earned her Doctor of Musical Arts from the Eastman School of Music studying with Alan Harris. Previous teachers include Christoph Henkel and Ekkhard Weber at the Hochschule für Music in Freiburg, Germany. Born and raised in Idaho, she lives in Rochester with her husband and two daughters.